Imagery, Language and Visuo-Spatial Thinking discusses the remarkable human ability to use mental imagery in everyday life: from helping plan actions and routes to aiding creative thinking; from making sense of and remembering our immediate environment to generating pictures in our minds from verbal descriptions of scenes or people. 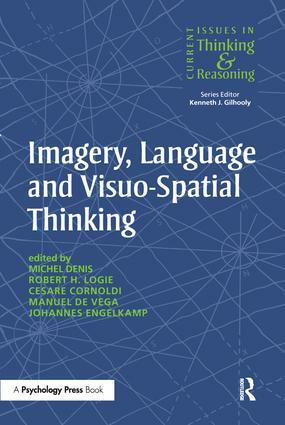 The book also considers the important theme of how individuals differ in their ability to use imagery. With contributions from leading researchers in the field, this book will be of interest to advanced undergraduates, postgraduates and researchers in cognitive psychology, cognitive science and cognitive neuropsychology.